You say you went to law school to pursue a better life. Your LSAT scores weren't so hot, so you were turned down by the top law schools. Harvard and Yale tossed out your application with its other junk mail and sent you an elegant rejection letter, complete with a genuine-looking robo-signature from someone in the admissions office. But a lower-tier law school welcomed you with open arms. Let's say it's a for-profit school like Arizona Summit or Florida Coastal. Or maybe a nonprofit, private law school like Thomas M. Cooley in Michigan, Thomas Jefferson in San Diego, or McGeorge in Sacramento. Or maybe you received an acceptance letter from a bottom-rung public law school like Southern Illinois or Texas Southern. And so you went to law school. You were vaguely aware that job prospects for people who graduate from bottom-tier schools aren't good and a high percentage of graduates fail the bar exam. But you're special. You'll study hard, you'll prepare for the bar exam, you'll pound on doors until a law firm offers you a good job. And when you get that J.D. degree, your life will suddenly change for the better. You'll drive a nice car, get married, and buy a craftsman-style house like the happy people who inhabit television commercials. And of course you took out student loans. To your surprise, back-of-the-pack law schools are just as expensive as Princeton and Stanford. Total costs, including living expenses turned out to be $40,000 a year, $50,000 a year, or even $60,000 a year. But in for a penny, in for a pound. You realized you can't work your way through law school like in the old days because no one can make enough money from a part-time job to pay a $40,000 tuition bill. So you took out loans every semester and when you walked across the stage to receive your law school diploma, you owed $200,000. You studied hard for the bar examination and paid for a bar review course. But you didn't pass the exam. And then you realized--fully realized for the first time--you owe $200,000 in student loans and you will never get a good job as a lawyer. 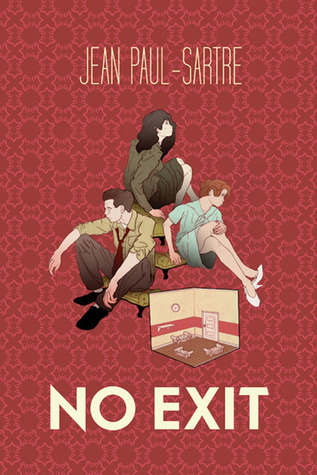 There is no exit strategy. You must pay back those student loans whether or not you get a good job or pass the bar exam. You can stall for time by getting an economic hardship deferment that excuses you from making monthly loan payments. But the deferment doesn't stop interest from accruing. In a few years, the $200,000 you borrowed will grow to $300,000. Maybe you were enticed to enroll in a crummy law school based on misrepresentations about the law school's employment rate. Can you sue for fraud? Yes you can, but so far at least, fraud suits against law schools have been unsuccessful. Thomas Jefferson and Thomas M. Cooley both beat that wrap. 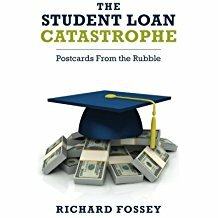 Can you discharge your student loans in bankruptcy? Maybe. Michael Hedlund, a graduate of Willamette School of Law, won a partial discharge of his student loans after 10 years of litigation. But several law-school graduates have struck out in the bankruptcy courts. Mark Lilly, a McGeorge law-school graduate, and Mark Tetzlaff, a Florida Coastal graduate, lost their adversary actions in spite of the fact that their law degrees did not enable them to get good attorney jobs. Heather Coplin, a McGeorge law-school graduate working as a waitress, only obtained a partial discharge of her student loans, which totaled almost half a million dollars. Law schools once operated as professional schools with high ethical standards. Today, however, a great many law schools are nothing more than elegant con games designed to rake in federal student-aid money. So before you enroll in a third-rate law school, do some research. Read Paul Campos' article in Atlantic. This article was the inspiration for John Grisham's recent novel The Rooster Bar, which tells the story of a young man who attended a dodgy for-profit law school. And read some of the bankruptcy cases that have been decided against law-school graduates who were unable to find good jobs as attorneys. In particular, read the Tetzlaff case and the Lilly case. And if you still want to enroll at Florida Coastal or Arizona Summit or Southern Illinois or Thomas Jefferson or Thomas M. Cooley, check yourself into a psychiatric facility--because you probably need to have your head examined. Paul Campos. Don't Go to Law School (Unless). Createspace.com, 2012. Paul Campos. The Law School Scam. Atlantic Magazine, September 2014. Coplin v. U.S. Department of Education, Case No. 13-46108, Adversary No. 16-04122, 2017 WL 6061580 (Bankr. W.D. Wash. December 6, 2017) (unpublished decision). Hedlund v.Educational Resources Institute, 718 F.3d 848, 851 (9th Cir. 2013). Lilly v. IllinoisStudent Assistance Commission, 538 B.R. 45 (Bankr. S.D. Cal. 2013). MacDonald v. Thomas M. Cooley Law School, 724 F.3d 654 (6th Cir. 2013). Tetzlaff v. Educational Credit Management Corporation, 794 F.3d 756 (7th Cir. 2015). Joshua Wright. The Oversaturated Job Market for Lawyers Continues and On-the-Side Legal Work Grows. EMSI blog, January 10, 2014. Staci Zaretsky. Verdict Reached in the Alaburda v. Thomas Jefferson Landmark Case Over Fraudulent Employment Statistics. Abovethelaw.com, March 24, 2016. The Rooster Bar: Why Won't the ABA Shut Down Bottom-Tier For-Profit Law Schools ? 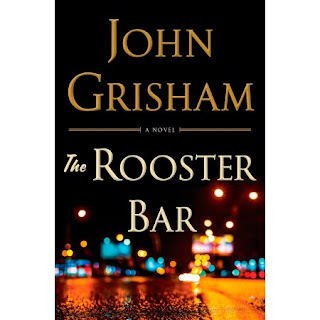 John Grisham's latest novel, titled The Rooster Bar, tells the story of Mark Frazier, a law student who attends a for-profit institution called Foggy Bottom Law School. By the time he is a senior, Mark has accumulated $195,000 in student loans and concludes he made a bad investment. To varying degrees, almost everyone Mark knew believed that (1) FBLS was a sub-par law school that (2) made too many promises, and (3) charged too much money, and (4) encouraged too much debt while (5) admitting a lot of mediocre students who really had no business in law school, and (6) were either not properly prepared for the bar exam or (7) to dumb to pass it. Foggy Bottom Law School is a fictional for-profit law school, but it closely resembles the real ones. Infilaw, owned by an equity group out of Chicago, runs three for profit law schools; and all three are in trouble. Charlotte School of Law closed in August after it lost its license to operate. Arizona Summit Law School was placed on probation last March by the American Bar Association, and the ABA warned Florida Coastal School of Law in October that it was "significantly out of compliance" with the ABA's accreditation standards. Not surprisingly, Infilaw wants to sell its two law schools that are still open. But why did the American Bar Association ever accredit these schools in the first place? The answer is illusive, but here is a key fact. In the 1995, when Bill Clinton was president, the U.S. Justice Department sued the ABA, claiming it was in violation of federal antitrust laws. The suit was settled in 1996, and the ABA agreed not to deny accreditation to a law school solely because it was a for-profit entity. That same year, a law professor named Don Lively started Florida Coastal Law School in Jacksonville, Florida. In 2004, Lively sold out to Sterling Partners, a Chicago-based private-equity firm. According to the Wall Street Journal, Sterling created Infilaw as a holding company for the law schools and lined up additional investors, allegedly including Harvard University's endowment fund. By almost any measure, all three Infilaw law schools are sub-par institutions. If you want to see the data, visit Law School Transparency's web site. All three schools charge high tuition rates similar to reputable law schools like Harvard and Yale. Yet these three schools have low bar pass rates and very few graduates find law jobs that justify the enormous student-loan debt they accumulated to get their law degrees. The for-profit advocates say schools like the Infilaw trio offer opportunities to minority students who are often rejected by reputable schools because of mediocre undergraduate GPAs and low LSAT scores. But the top-tier schools bend over backward to attract minority students and have plenty of scholarship money to recruit them. Too often the people who enroll at for-profit law schools are not academically prepared to study law and often fail their bar exams. As has been often reported in the media, the job market for recent law graduates is terrible; and the bottom-tier law schools are producing lawyers who run a high risk of failing the bar while facing dismal job prospects. In short, the integrity of legal education has been seriously undermined by a herd of poor-quality law schools, including the Infilaw schools and several public law schools as well. Apparently, even Harvard University contributed to this train wreck, although Harvard wouldn't confirm that its endowment fund invested in Infilaw's schools. The American Bar Association is primarily responsible for this disaster, but is it taking steps to shut down the bottom-feeding law schools? No it is not. In fact, the ABA is considering a measure that would allow law schools to make LSAT scores an optional criteria for law school admission. The purpose of that action, perhaps, is to make it harder to measure just how low some law schools' admission standards really are. John Grisham. The Rooster Bar. New York: Doubleday, 2017. Andrew Kreighbaum. ABA Backs Testing Choices on law Admissions, Inside Higher Ed, November 7, 2017. Andrew Kreighbaum. Report: For-Profit Looking to Sell 2 Law Schools. Inside Higher Ed, November 29, 2017. Josh Mitchell. The Rise and Fall of a Law School Empire Fueled by Student Loans. Wall Street Journal, November 24, 2017. Law School Transparency web site. Angela Morris. GRE or LSAT? ABA Council's Latest Move Could Nix Tests Altogether. Law.com, November 3, 2017. United States v. American Bar Association, 934 F. Supp. 435 (D.D.C. 1996).